If you're interested in DNA, I'll be speaking in both Boston (Newton Center) and Chicago (Northbrook) in the next 2 months. Many people talk about surname changes that happened after their ancestors emigrated to America (not at Ellis Island!). 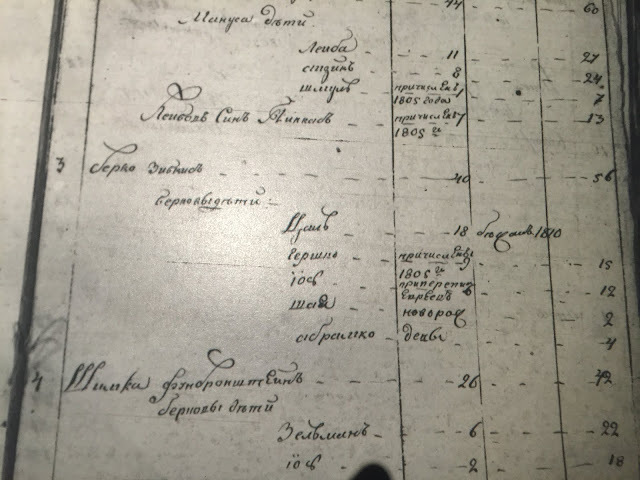 But most assume that the family name was relatively stable in Europe and that the town from which their ancestors emigrated from was the family town for generations. While that might be true, sometimes it's not. 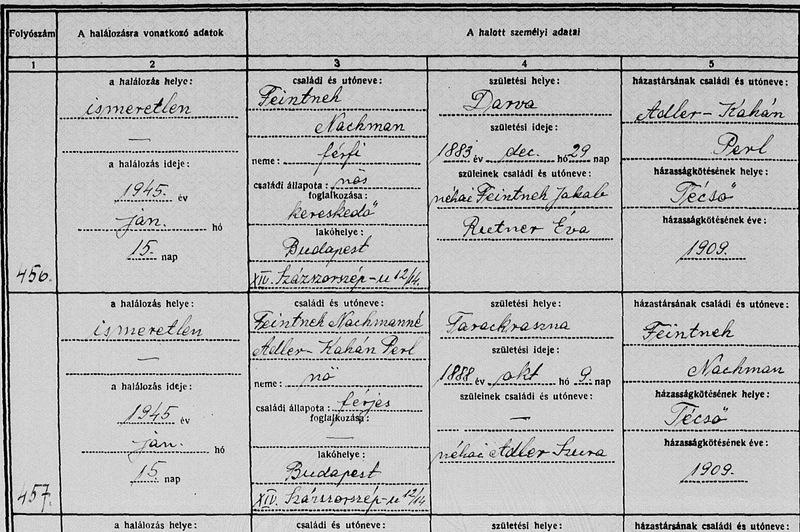 As an example, let's look at my 5th great uncle Hirsh Zubkis and some of his descendants. The first mention I have of Hirsch is in 1811, when he was a 15-year-old living with his father and brothers (no women were mentioned in this revision list) in Uman. Some of the DNA companies will tell you which side a match is from if one or both of your parents have tested with that same platform. I'd tested with 23AndMe back in 2013, but both of my parents only just tested. My mother's results came in today, but we're still waiting for my father's. 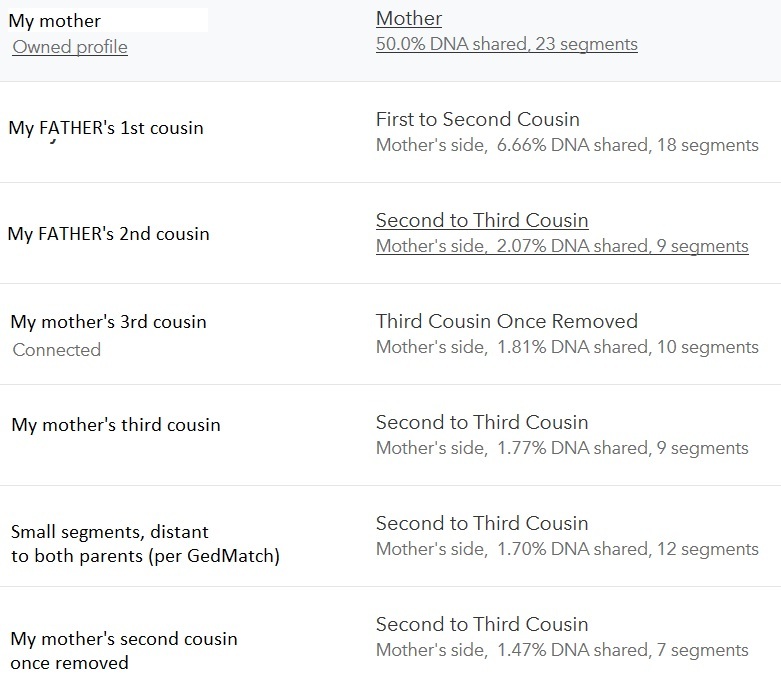 But since only my mother is in the system at this point, 23AndMe is looking at all of my matches and trying to predict through which parent we are connected. Well, this might work really well if you're not from an endogamous population, but if you are, it isn't so helpful. My closest matches on 23AndMe. Check out the prediction between each relationship--all on the mother's side! A DNA Connection--Or Rather, Connection_s_! 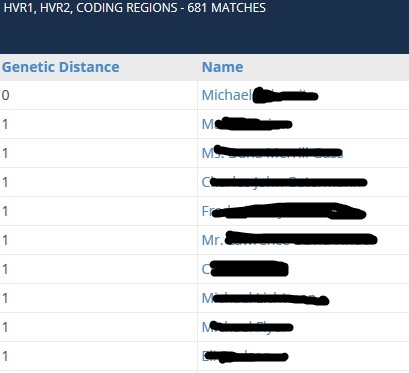 Back in November 2018, I was going through my 23AndMe results. Because I'm 100% Jewish, endogamy causes me to have a ton of predicted close matches, so I was concentrated on those with open sharing, so that I could look at the size of our largest shared segment as well as those where known relatives who have tested also shared a large total amount of DNA. One of the people I messaged was MC. MACSE is the Hungarian Society for Family Research. 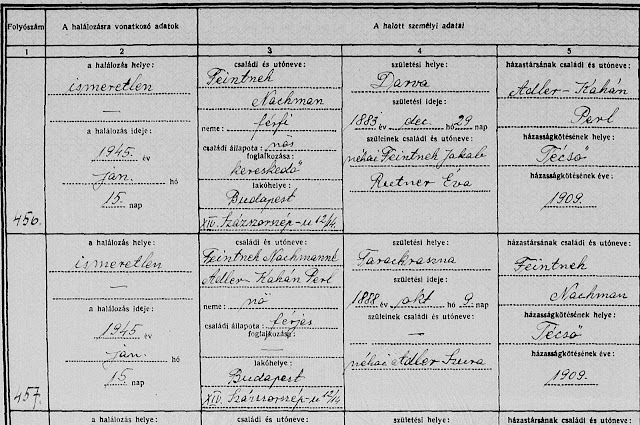 If you have family who lived in Hungary, it's a great (and growing) resource for finding records on your family. 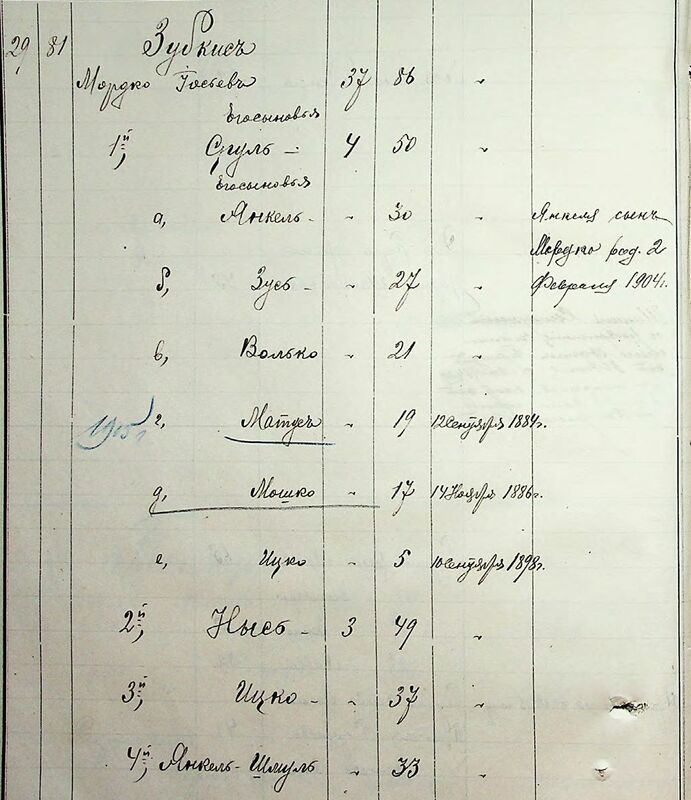 MACSE has been indexing thousands of Hungarian vital (and other) records which are not indexed anywhere else. While some limited searching can be done for free, you can join MACSE for $30 a year to get access to everything that they have indexed. If you have Hungarian ancestry, this is one of the best deals around. But it takes a bit of experimenting for English speakers to figure out how to best leverage what it has. Many of those killed in the Holocaust did not have their deaths registered at that time. However, in many cases, their deaths were officially registered post-war by surviving family members or friends. My great grandmother had a brother named Mendel Fuchs. Until I got civil vital records from his hometown of Dulovo (then Dulfalva), I didn't even know he existed. Since that time, I discovered that he was born in 1900 and that he was murdered in Dachau in November 1944--and was even issued a death certificate. But I didn't know what happened in between, although I did know from Dachau records that he'd been deported from Khust. However, since many Jews were taken from their villages to Khust before final deportation, I wasn't sure where he lived as an adult. But now I have some records from Khust, and guess who I found! Recently, I've been involved in several conversations about the divorce rate in America's Jewish community. Many people say that there was essentially no such thing as divorce in Eastern Europe and that this is purely a function of American society; they imagine shtetl life to have been some sort of utopia. Before you read further, guess what percentage of marriages in Europe ended in divorce. And see how close your guess is to reality. What I learned about that is below; I also took note of the reasons for the various divorces, which are interesting enough to merit their own future post (so stay tuned). 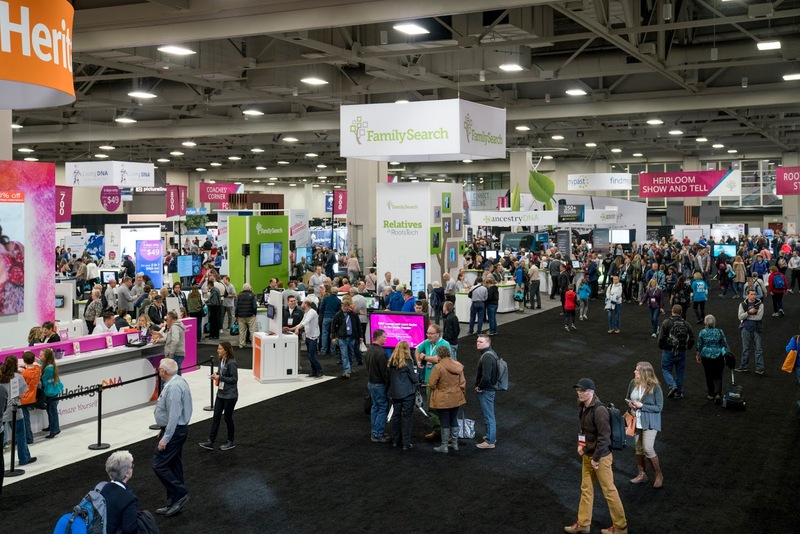 It's almost that time of year--RootsTech is coming! 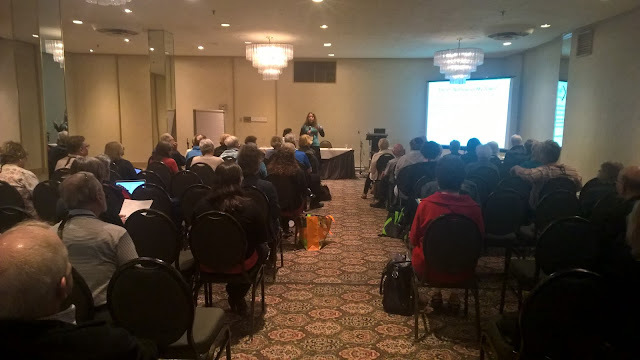 And while Utah isn't the first place one would think of for Jewish genealogy, there's so much that RootsTech offers the Jewish genealogist.